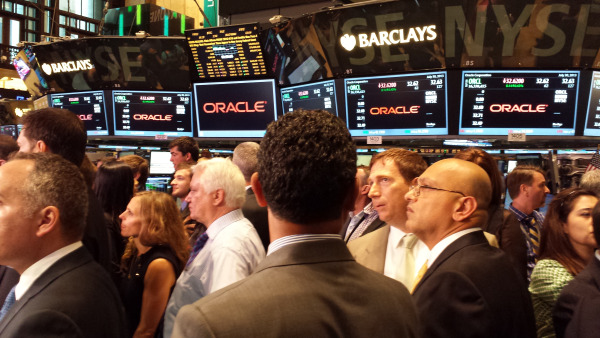 Yesterday Oracle participated in the closing bell ceremony at the New York Stock Exchange, commemorating it's move to the NYSE on July 15th, when it became the largest company ever to move from the NASDAQ to the New York Stock Exchange. 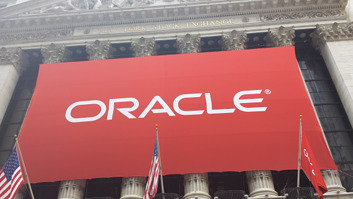 A small group of Oracle customers, employees, and partners were invited to the celebration, which was hosted by Oracle's President Mark Hurd, NYSE Euronext's CEO Duncan Niederauer, and COO, Larry Leibowitz. While events like this are inevitably about marketing, and branding, what became clear over the course of the evening was the level of the partnership between Oracle and NYSE. After the closing bell ceremony and the obigatory interview with CNBC's Maria Bartiromo, the three executives returned to address us for an hour in the NYSE board room. While these three execs are practiced and polished presenters, it was very clear to me and others in the audience that there was a deep passion for business and a deep respect between Oracle and the NYSE.